I love apricots, and they’re in season right now…although their peak may have passed already, or hasn’t quite begun. Three weeks ago, my husband brought home the perfect apricot. But since then, I haven’t found a great one. Maybe the one I had was a fluke? Anywho, June is when apricots and other stone fruits such as peaches, nectarines, and plums are in season. I eat superhero most of the time, so fruit isn’t a big part of my diet, but I love to indulge in the occasional treat. When they’re in season, I like to make a few nectarine baked desserts with oats and such. And it’s hard not to eat the fresh fruit…t’s so delicious! But it’s not ideal to eat too much of it. Click here for some kind chocolate cake! Don’t go crazy with fruit if you are a superhero, as it can cause an imbalance; in macrobiotics fruit is believed to weaken the blood. But if you usually go for naughtier sweets like ice cream, eat as much fruit as you like! 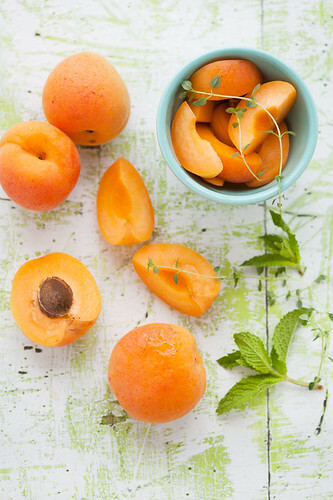 Check out your local farmers market for apricots and these other delicious stone fruits. What’s your favorite way to eat apricots?